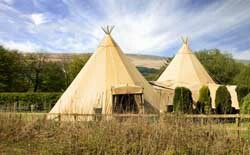 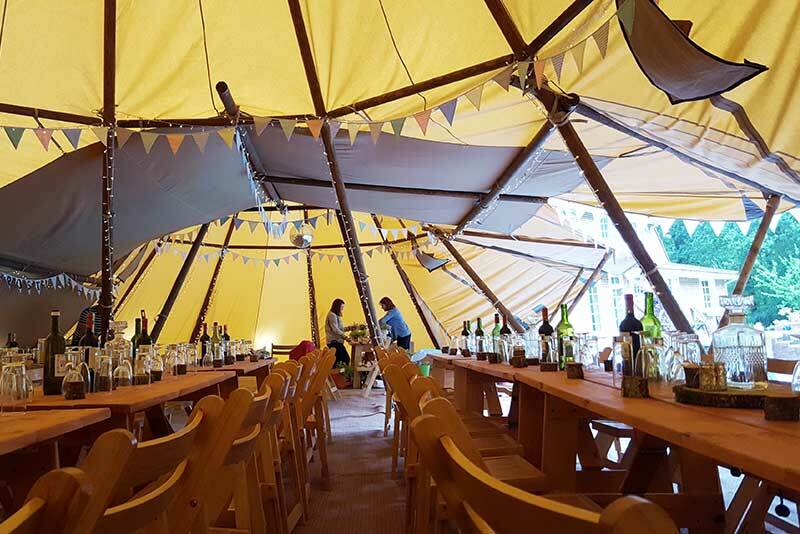 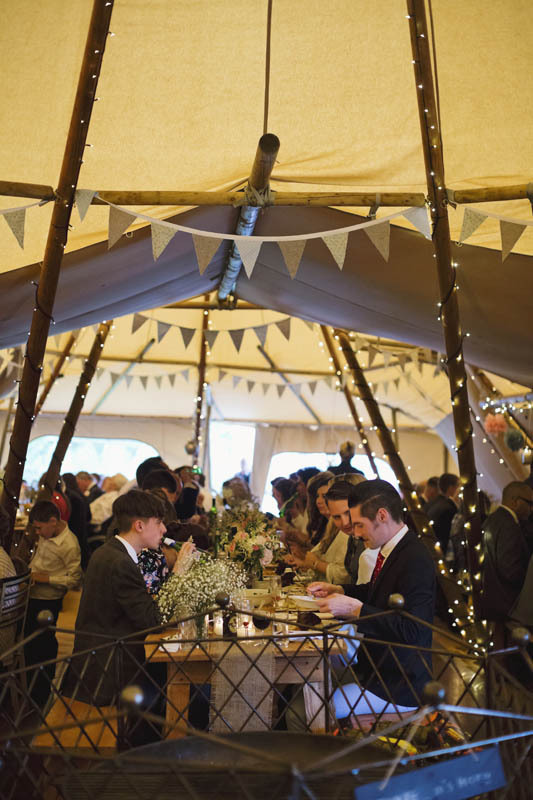 New for 2016 our double Tipi tent which is made in the U.K. 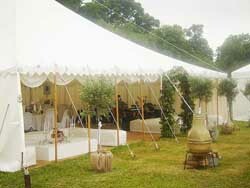 The design is relatively unchanged from their ancestral beginnings all be it on a much larger scale, but use the latest technology and materials to bring them into the 21st century. 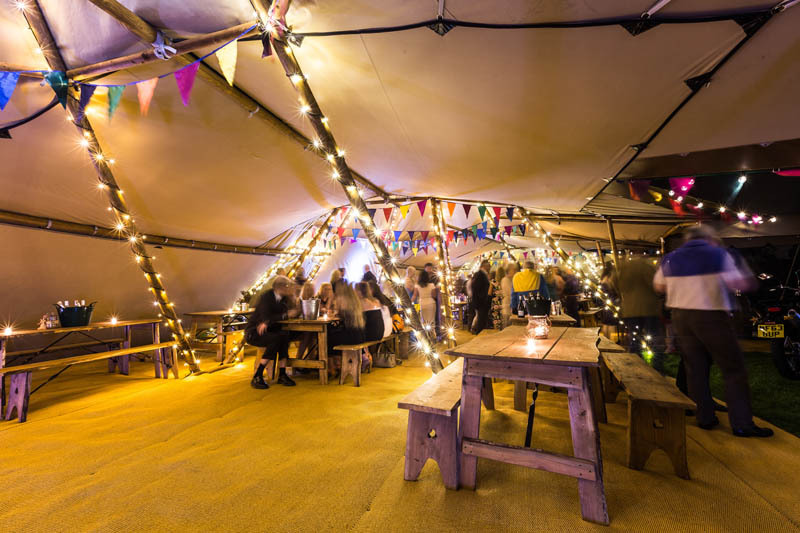 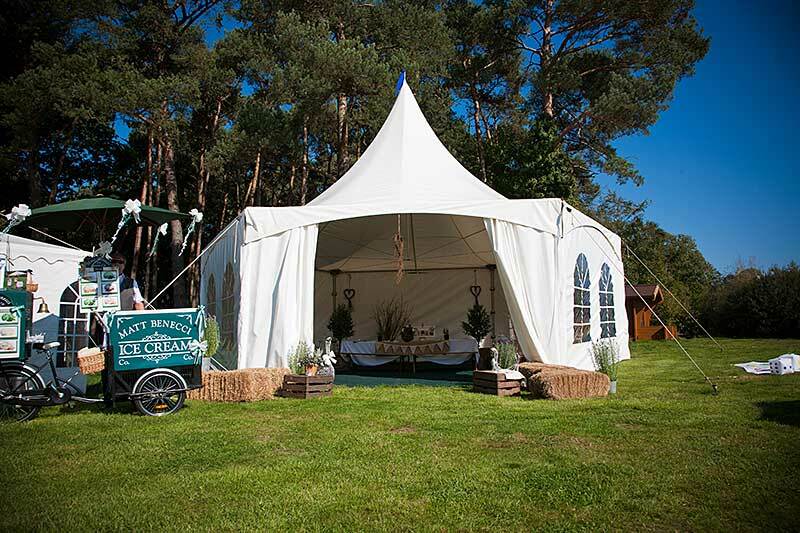 Create a funky festival vibe for your event or wedding, if you want to stand out from the crowd or hold your event in a space which compliments the surroundings this is the tent for you. For a sit down reception you could comfortably seat 120 people and then convert one big hat into a dance area for the evening festivities. 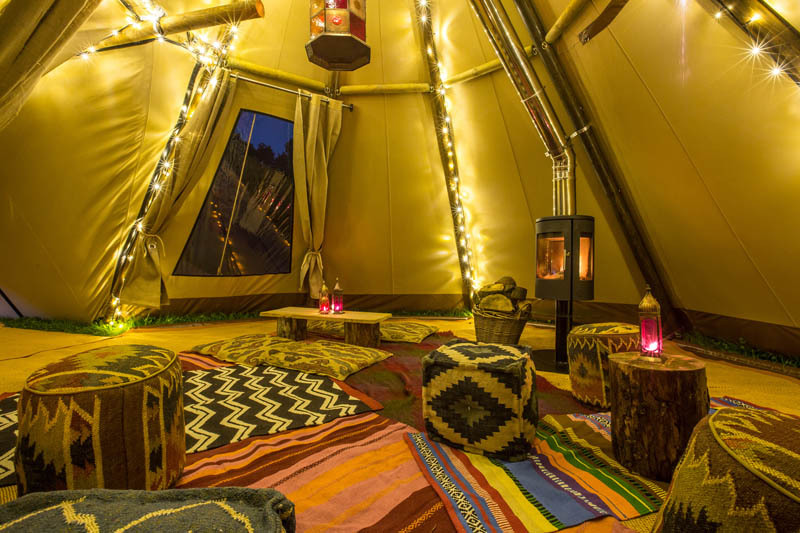 The walls can be raised in good weather to create a witches hat shape and give you more space or lowered to keep the atmosphere and warmth inside. 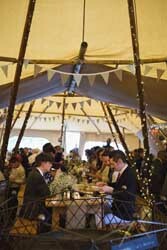 Whether you go down the route of a traditional rustic feel or if you want to be bold and modern the Tipi tent lends itself to whatever décor choice you make original and unique in design allowing you to create an event which will be a memorable an inspiring experience for your guests. 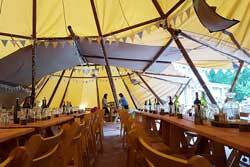 Each tipi is 10.3m approx (34 feet) diameter. 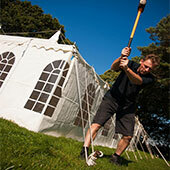 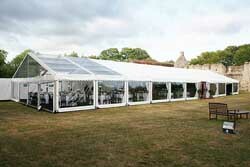 The stretch tent is the stylish and cost-effective alternative to the traditional event marquee. 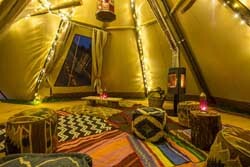 There's little to beat the magical atmosphere they create, their dynamic shapes and colours, or the amazing versatility they offer. 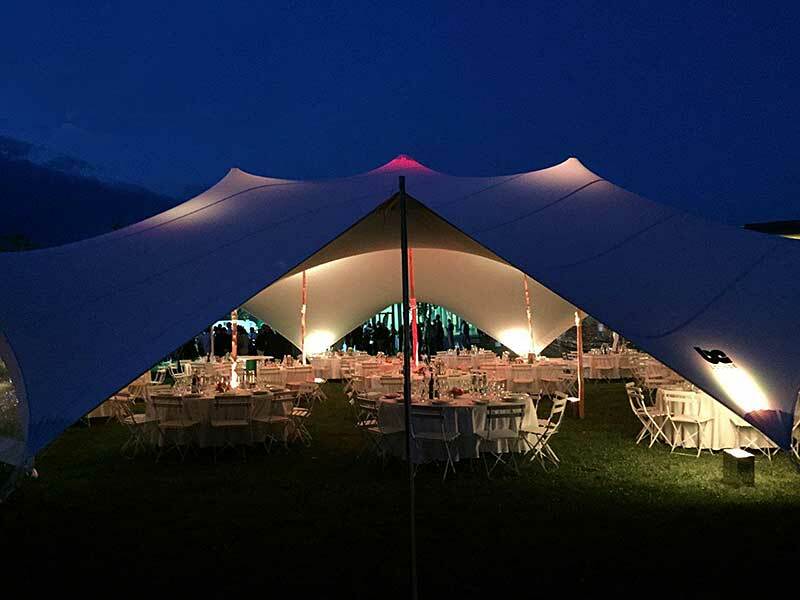 A stretch tent turns venues into big event possibilities, quickly transforms dead zones in hotels and restaurants into viable atmospheric spaces, and offers homeowners a stylish and cost-effective outdoor cover solution. 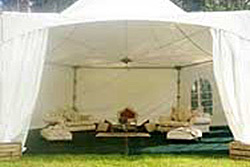 Our stretch tent measures 21m x 21m. 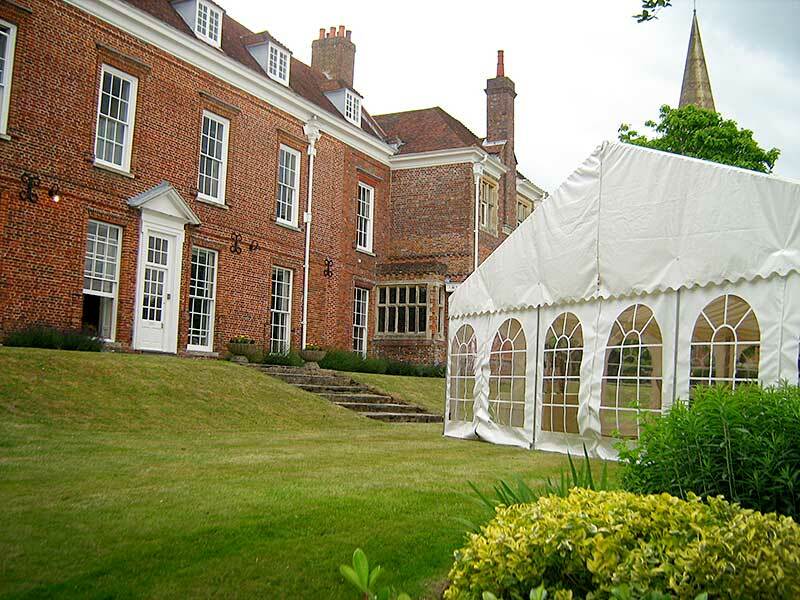 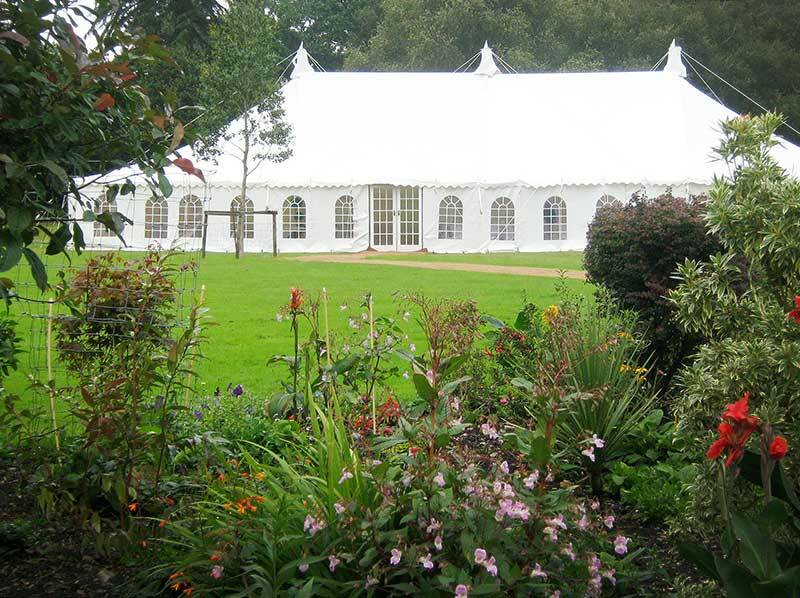 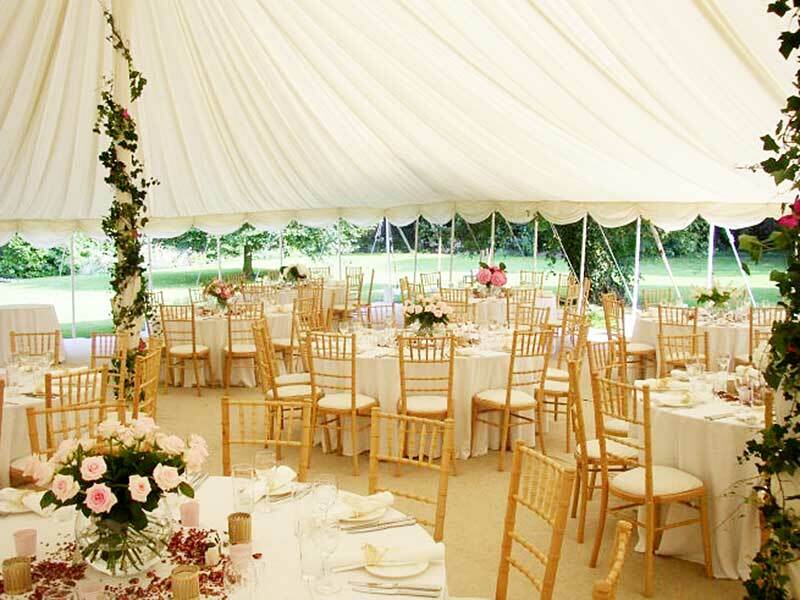 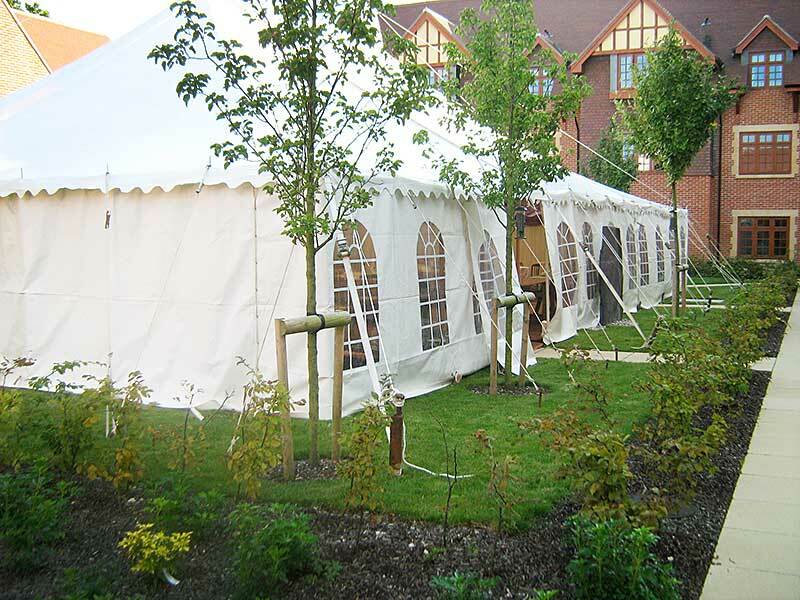 A traditional marquee will provide the ideal venue for your event or wedding and works really well in a large open space. 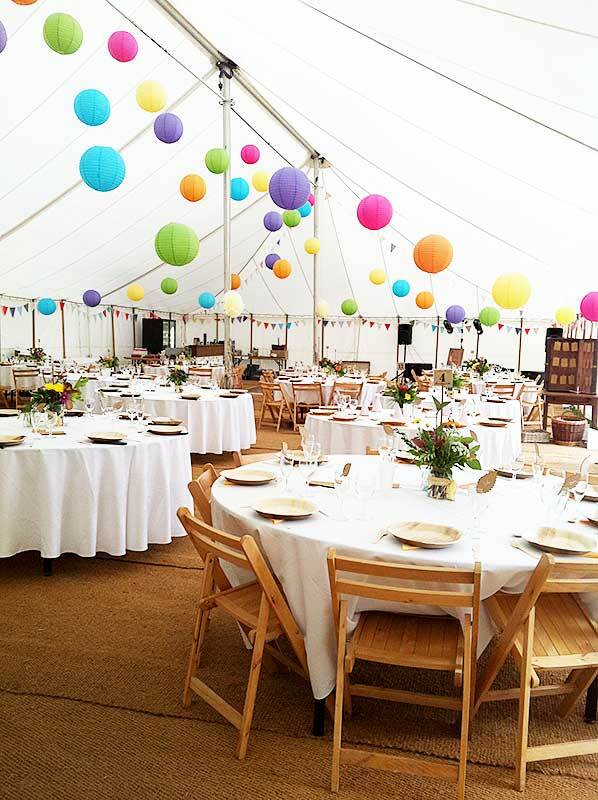 They have wooden centre poles and guy ropes and so for this reason can only be installed on grass – perfect for a country setting, large garden or open field. 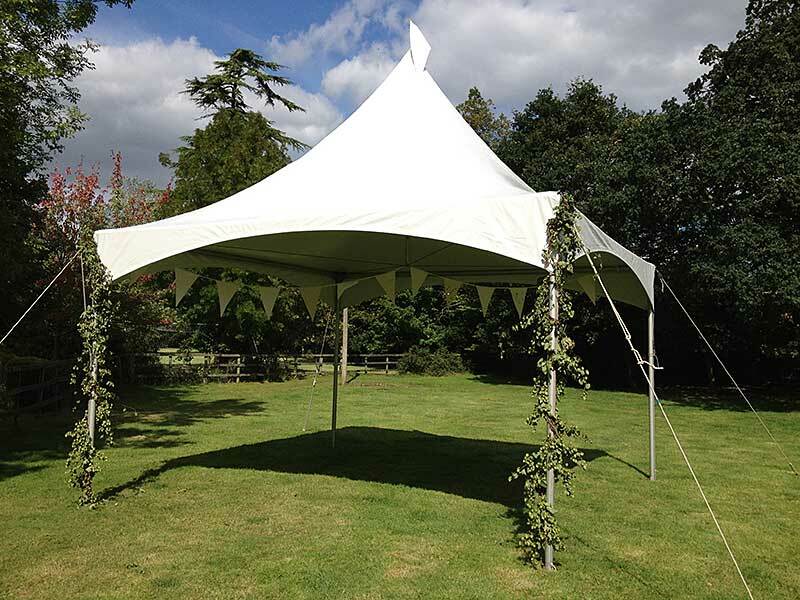 This marquee works well lined or un-lined and depending on your décor looks great both ways. 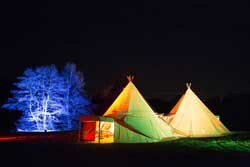 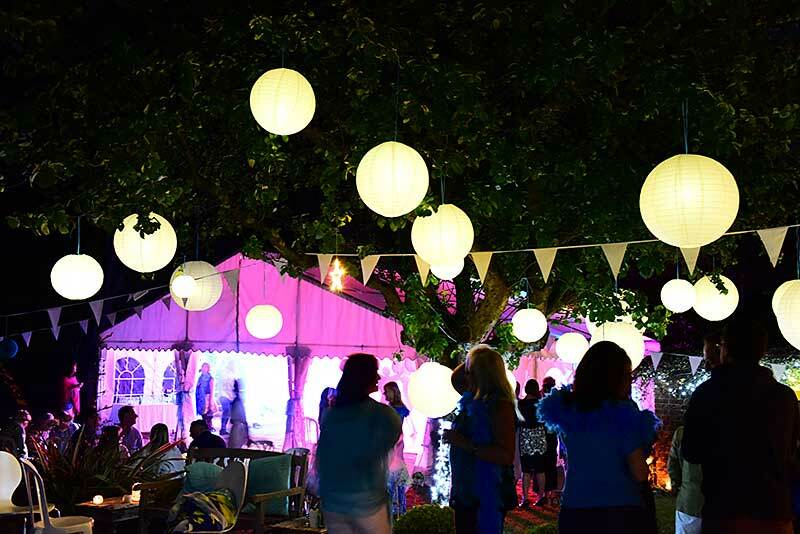 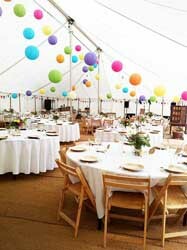 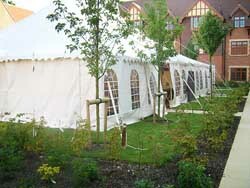 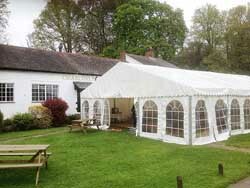 Add fairy lights or bunting and you start to get the feel for how adaptable the traditional marquee can be. 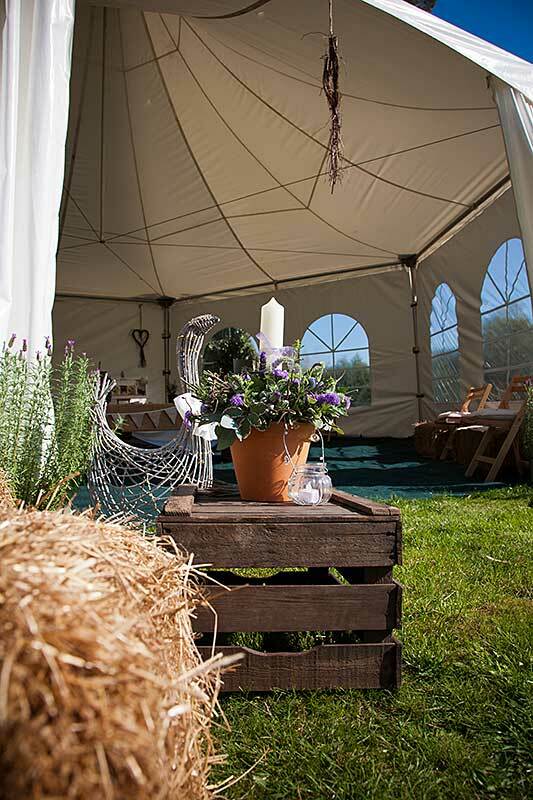 They are the most popular choice for weddings in a rustic setting as their sweeping lines offer the perfect setting for that elegant country vintage look and can comfortably accommodate 80 to 300+ seated guests and a dance floor. Available in 3m, 5m or 6m square. 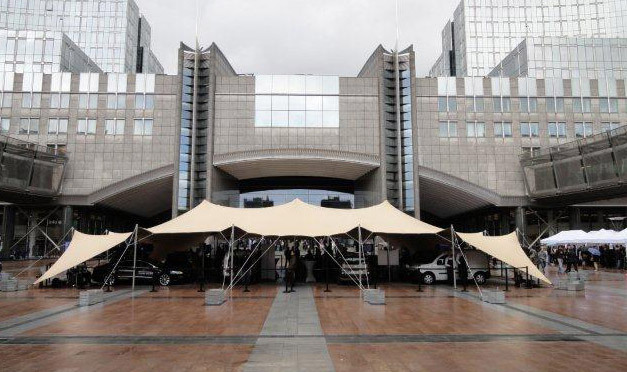 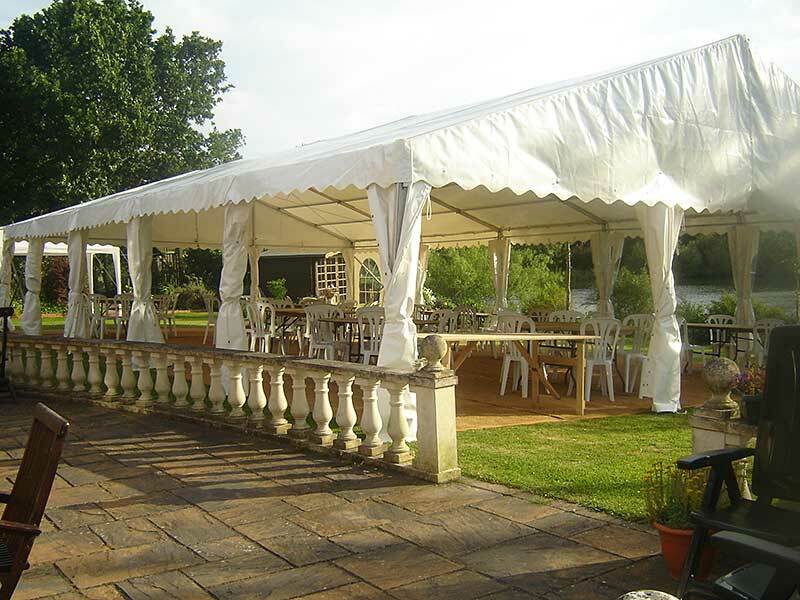 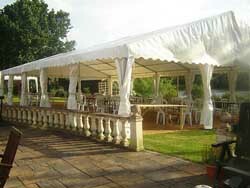 The Clearspan range of marquee has no internal or external pillars or obstacles. 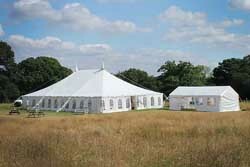 It is a freestanding structure secured to the ground by pegs. 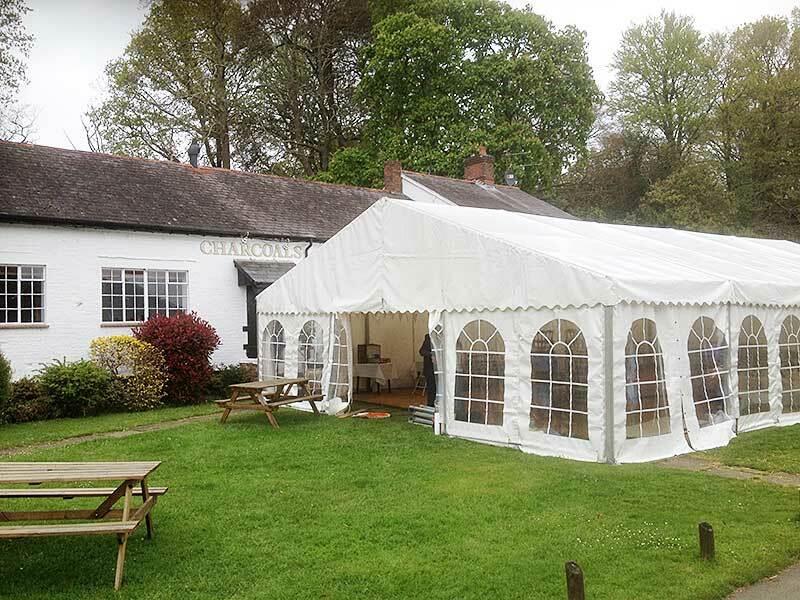 The clearspan marquee is a universal range that offers a flexible, practical and cost-effective solution to most functions. 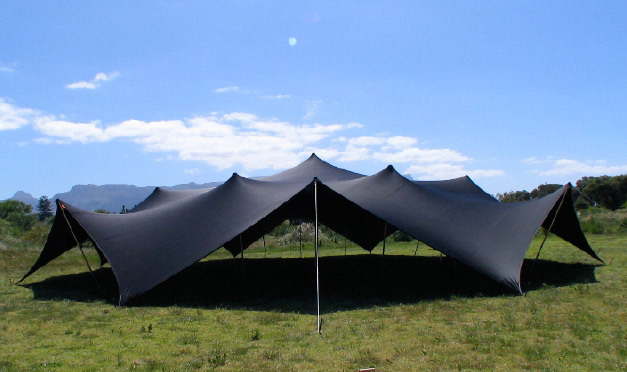 It can be installed on surfaces such as sand, gravel and concrete. It’s great for small town gardens or roof terraces, it can adapt to variable floor heights such as stepped gardens and accommodates awkward shapes such as an L-shaped gardens, the clearspan marquee can also serve as the perfect answer to temporarily extending the entertaining space in your home for that special party. 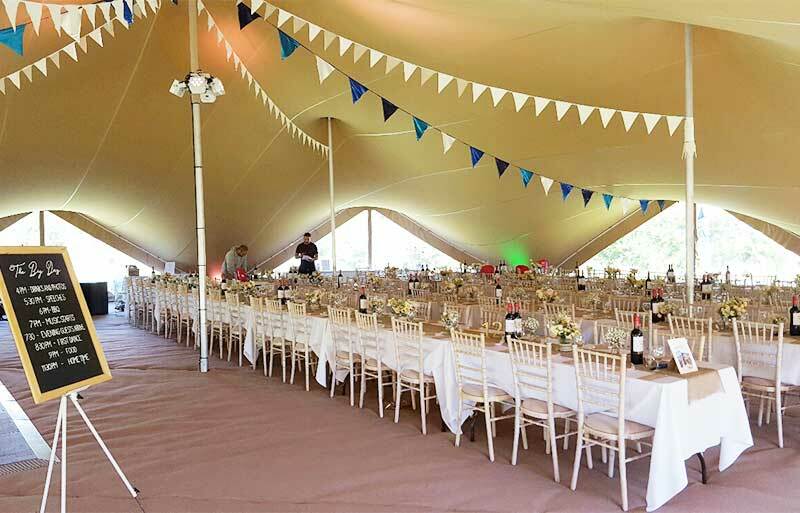 From weddings to intimate parties, to exhibitions to corporate hospitality the choice of sizes, layouts and finishes available to you are endless. We offer clear spans in widths from 3m to 15m, and we then design the marquee to whatever length is suitable for your event. 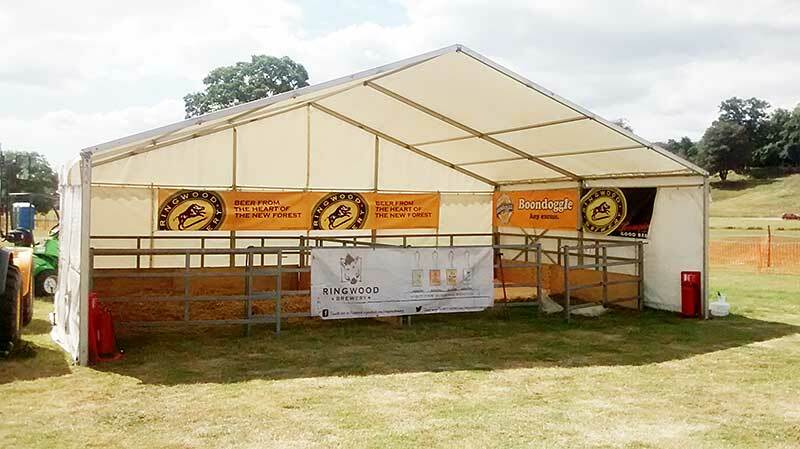 If you need something larger we can combine 2 or more of our clearspan marquees together to create something even more spacious. 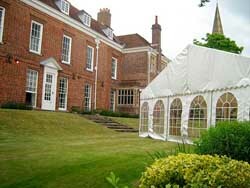 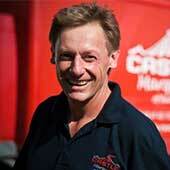 In addition, we have a choice of window styles, including full height gable-end windows to maximise the view. 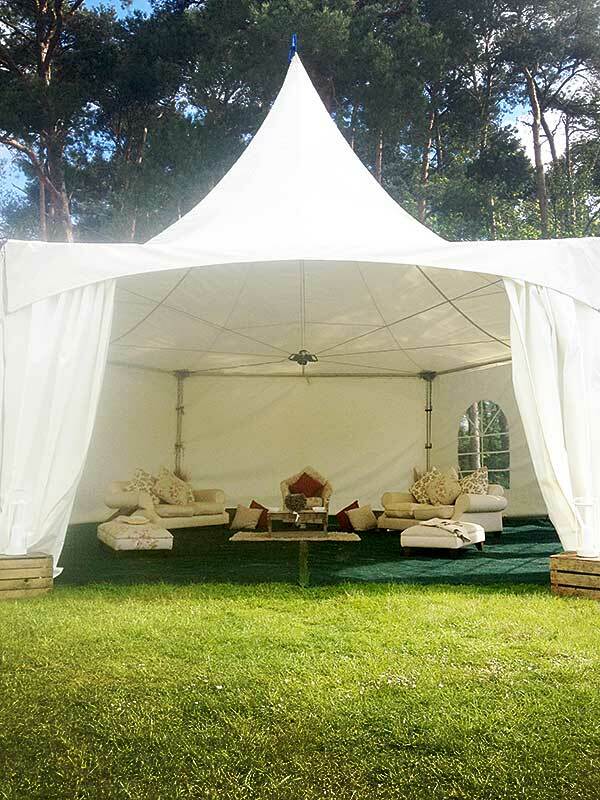 Add to this our ivory pleated linings, plus floor coverings in a choice of colours and finishes and you have the beginnings of something amazing. 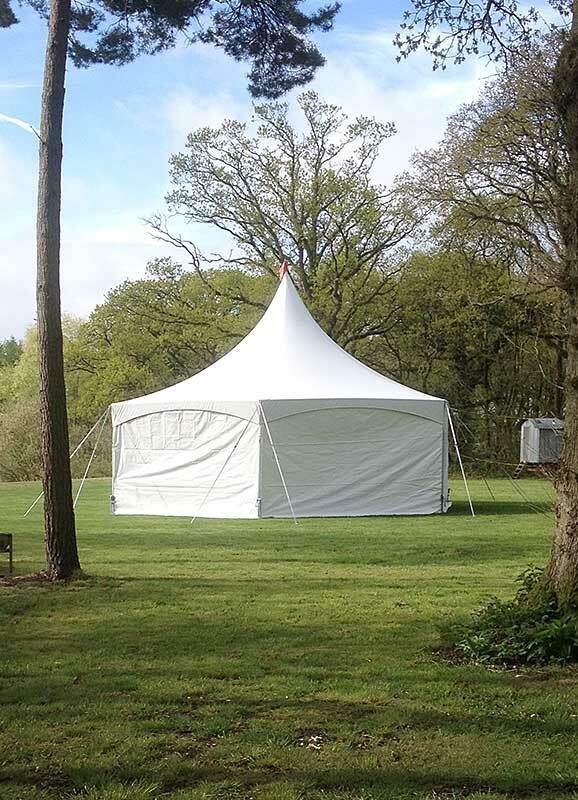 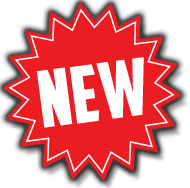 Available in widths of 3m, 6m, 9m and 12m and up to 30m in length. To get the wow-factor for your event, or just to create a little extra space, we recommend using our range of pagodas. 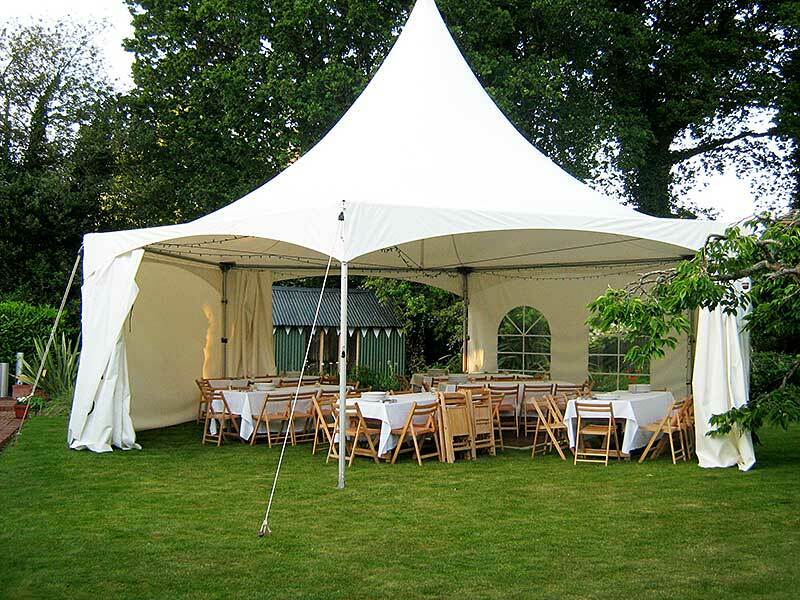 Oriental inspired, with high roofs our pagodas can create a fantastic focal point for catering areas, bars or sheltered chill out areas away from the main marquee. 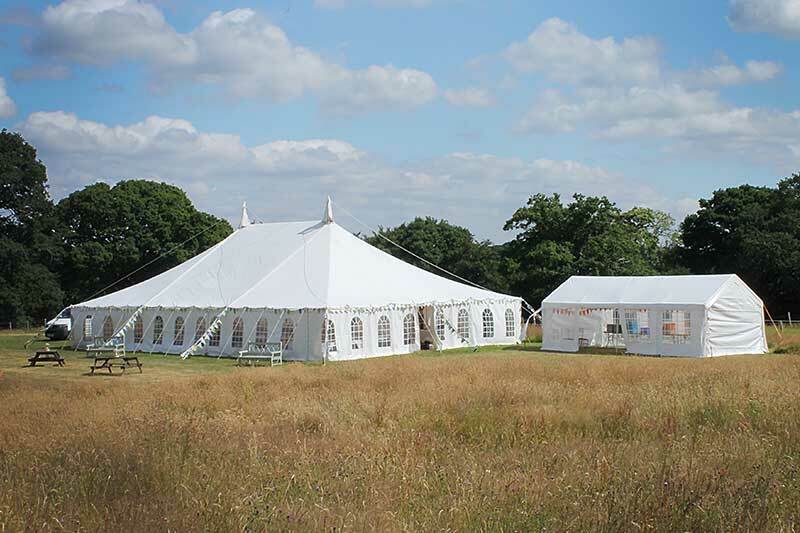 When combined with either our Clearspan or Traditional Marquees, they allow you to create a dramatic-looking venue, and add a little bit of valuable space at the same time. 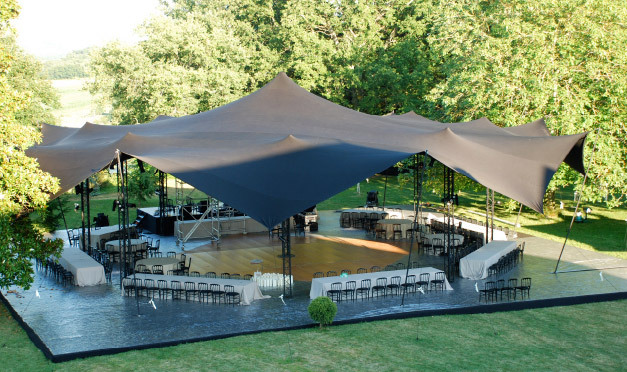 They make spectacular entrances, and are fabulous for creating walkways between structures. 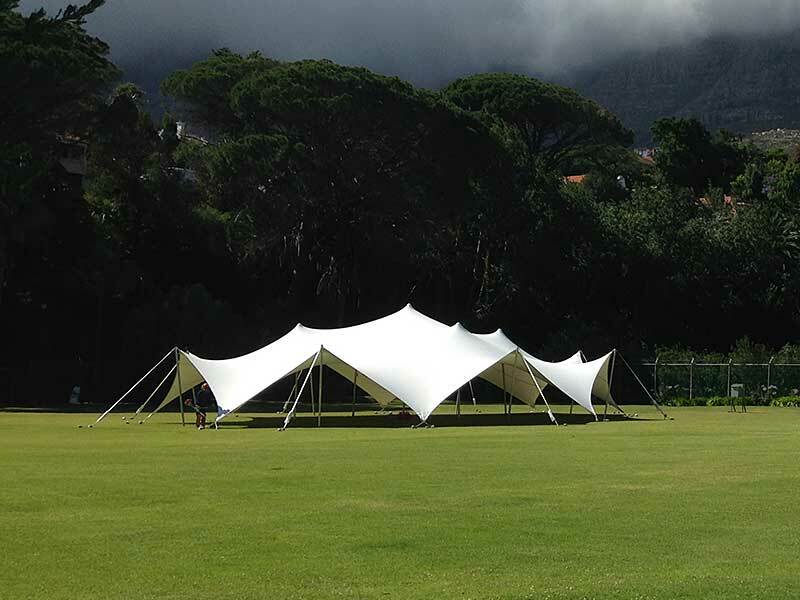 Square base 5m x 5m. Hexagon 10m diameter..